Since 2004, first with Washington Mutual and then with JP Morgan Chase in 2008, AdSoft Direct has worked with the leading team in commercial term lending. 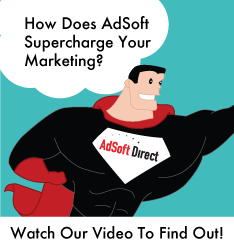 With a wide-array of innovative, local marketing campaigns being executed in diverse markets across the country, AdSoft Direct has helped build the strongest sales and marketing program in multifamily and commercial lending. Led by an all-star cast of marketing professionals, the Chase marketing team has worked side-by-side with AdSoft Direct to continually-deliver leading edge marketing programs to its network of client managers nationwide. Chase Commercial Term Lending has been recognized year-after-year as the #1 Multifamily Lender in the country (source: #1 claim based on 2012 FDIC data). AdSoft Direct’s campaigns have helped generate tens of billions in loan originations for the bank bolstering marketing ROI to new levels as the increased marketing execution, oversight, and intelligence provided by AdSoft Direct helps all team members to stay in front of their customers and always a step ahead of the competition.